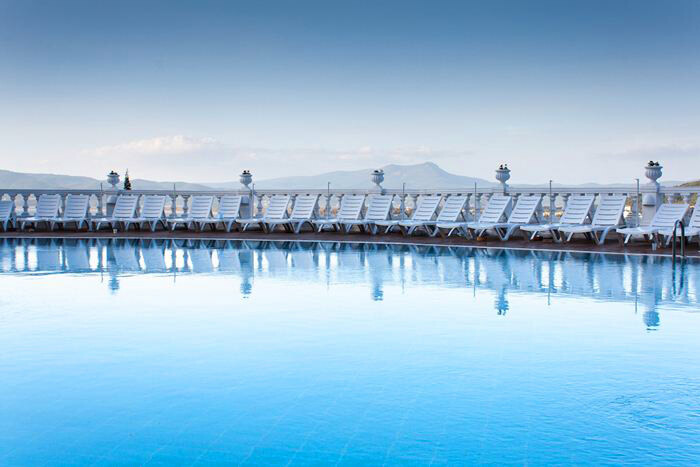 My top 10 reasons for staying at, The Ephesus Princess Hotel, Kusadasi. 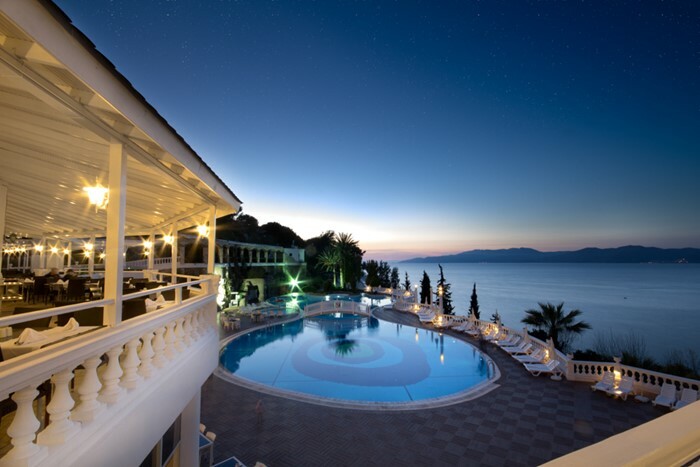 1-The Ephesus Princess Hotel is all inclusive, so most of my holiday expenses are paid before I go. Buffet style breakfast (07:30-10:00), late breakfast (10:00-11:00 hrs), lunch (12:30-14:00) and dinner (19:00-21:30). Pool side and beach cafeterias serve lunch (12:30-14:00), snacks (11:00-17:00), afternoon tea, cake and ice cream for children (17:00-18:00) and Midnight snack at main restaurant (00:00-01:00). A’la Carte dining options include: Open May-Oct: 1001 Night restaurant serving International Cuisine (min. age 13 yrs. ); La Romantica serving Italian Cuisine; Open June-Sept: Agora serving Turkish, Pescatore serving Seafood, Sayanora serving Asian (min. age 13 yrs.) and Schnitzel at Wine House serving Viennese cuisine. In all a’la Carte and specialty restaurants dine once per stay, 24 hours prior reservation required subject to availability, dependant on weather conditions and restaurant capacities. Unlimited amount of soft, hot and alcoholic drinks (including some selected international brands and cocktails) at certain bars & times (11:00–24:00). Mini bar in the room with soft drinks and water, Turkish Coffee at “Cafè Turc” (20:00-23:00). Land Sports & Leisure: Fitness room (min. age 14 yrs), Aerobics, darts, table tennis, 4 tennis courts (1 with floodlight, min. age 12 years), beach volleyball, turkish bath & sauna (14:00-19:00). Day time activities include pool games, beach games and competitions. Evening entertainment include shows, live music, Turkish night, sketches and open air Disco (3 nights a week 23:00-02:00 inclusive of drinks). Mini Club (4-12 Years) 6 days per week. Kids & Teens Club (12-17 yrs). Separate children’s pool, play ground with its own pool. Play room. Mini disco, Kid’s Cinema DVD, early dinner for families (only in July & August), Ice cream time, free cots, high chairs in the restaurants. Doctor, laundry service, local and international telephone calls, photo shop, boutique, shops, mini market, Baby sitting. All motorized water sports and lessons (such as; water skiing, banana riding, jet-ski, parasailing, inflatable boat, ringo, knee boarding, speedboat, scuba diving). All these facilities are operated under separate managements and hence all are subject to availability. Participation at own risk. Please note: Any kind of services and activities not included in the All Inclusive package is subject to charge. Dress code: We kindly ask our guests to dress suitable in the main and specialty restaurants. Beach attire is only accepted at the bistros during daytime. For dinner, smart casual wear is required. Breakfast, late-breakfast, lunch and dinner will be served in open buffet style at the 2 main restaurants. Buffet style in the main restaurant and at the terrace 12:30-14:00. Tea, coffee and cookies at the Pool Bar and Beach Cafeteria 17:00–18:00 hrs. Parents are only welcome with children’s special invitations. Wide selection of national and international dishes buffet style in the Main Restaurant Efes & Gourmet. 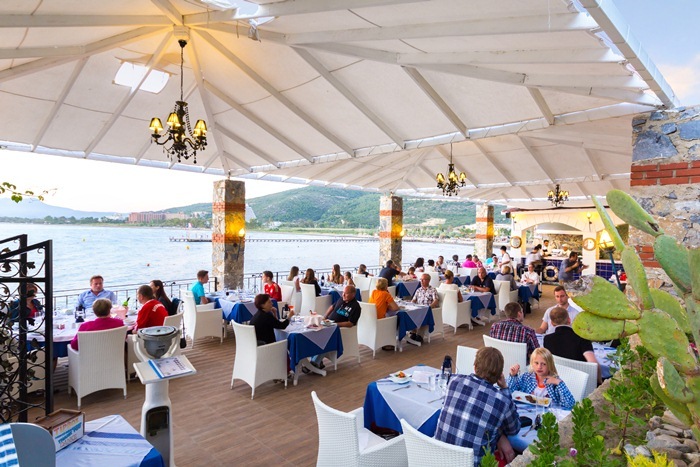 3-The Ephesus Princess Hotel have choice of places to eat from the poolside bar and grill, the beach side bar with pizza and pasta, two buffet style restaurants and a la carte restaurants too. 4-Fab, swimming pool, kids pool and an indoor pool. 5-The Ephesus Princess Hotel has super Spa facilities. 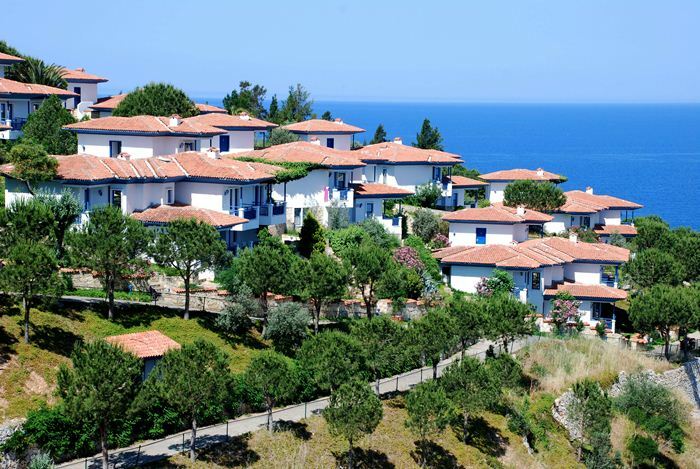 6-Great views over the sea and very well maintained gardens. 7-Children’s play area, pool and club . 9-The Ephesus Princess Hotel’s friendly staff will make you go back and back. 10-Lots of day trips available to include Ephesus and Pamukale or just a short bus ride into town. 5* All Inclusive The Ephesus Princess Hotel from only £277 pp. 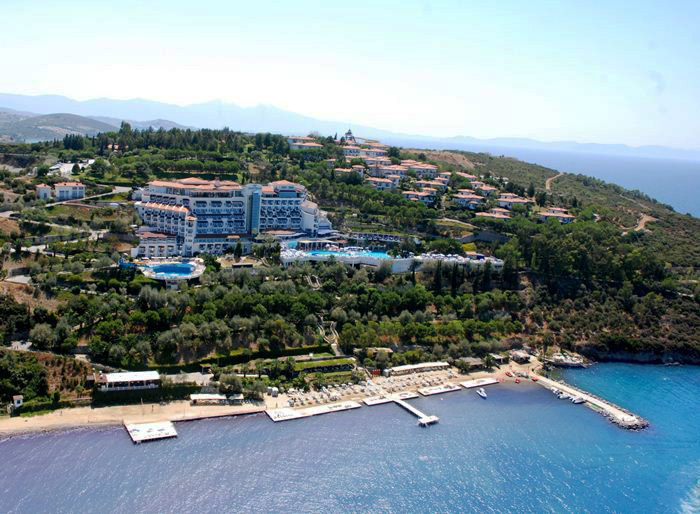 Comparing an All Inclusive holiday to 5* All Inclusive The Ephesus Princess Hotel is easy. 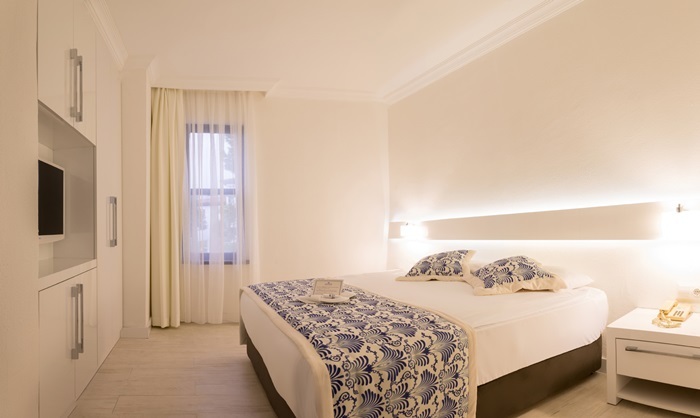 Once you have checked, compared the holiday prices and found the cheapest price on the Compare Travel Market website, simply call through to the travel company and book your holiday at 5* All Inclusive The Ephesus Princess Hotel. All the travel companies that are compared on this site have ATOL, ABTA or TTA bondings for maximum credit and security. This entry was posted in The Hotel Ephesus Princes and tagged 2016 holidays, 5* all inclusive hotels, 5* All Inclusive The Ephesus Princess Hotel, all inclusive holiday, cheap 2016 holidays, cheap all inclusive, Cheap All Inclusive Beach Holiday, cheap beach holiday, CHEAP HOLIDAY DEALS, Compare holidays, compare holidays prices, Compare the market, Compare Travel Market, Comparethemarket, cool holidays, deals, hot holidays, The Ephesus Princess Hotel, travel market, Travel Supermarket. Bookmark the permalink. Follow any comments here with the RSS feed for this post. Both comments and trackbacks are currently closed.